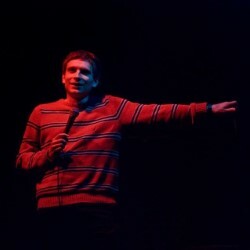 Currently residing in New York City, the Edinburgh Comedy Award Best Newcomer returns to the Fringe to build material. Come watch performances where anything could happen as the Norwegian comic alternates between working with and without a net. As seen on Russell Howard’s Good News and House of Fools. ‘A talent’ (Time Out). ‘Exceptionally funny’ (Village Voice). ‘His mix of odd anecdotes and clowning makes his one of the most compelling voices’ (Independent). ‘Creepily brilliant’ (Fabulous Magazine).